One of the lightest cordless headsets currently on the market, the compact and convenient Plantronics W440 features DECT technology and excellent sound quality. This versatile headset provides three different wearing styles in order to maximise user comfort for intensive use, and it provides a range of up to 100 metres. 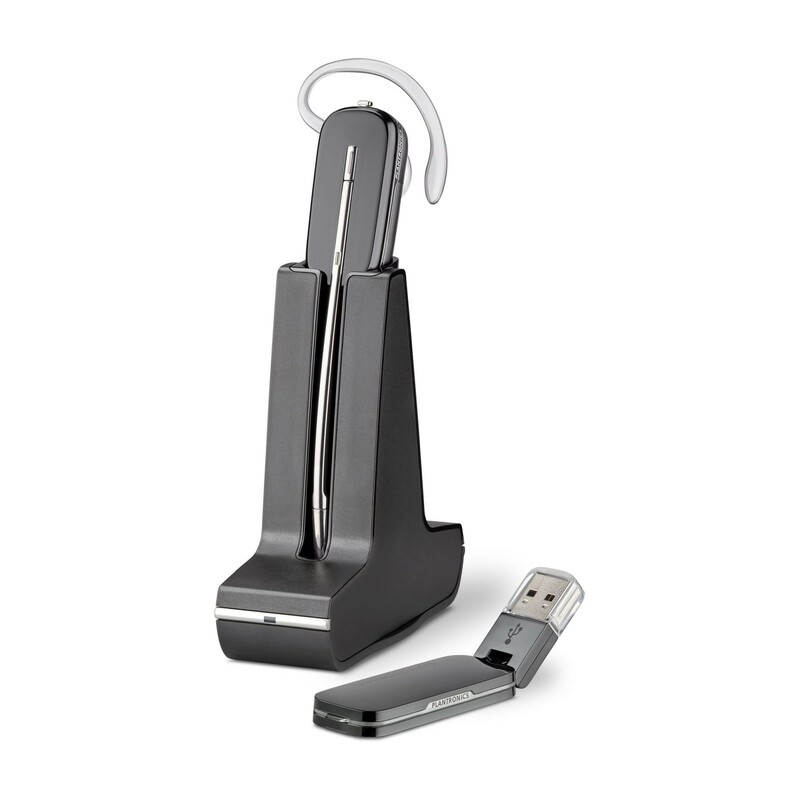 The Plantronics W440 features a hot-swappable battery to provide a potentially unlimited talk time with up to seven hours per battery. 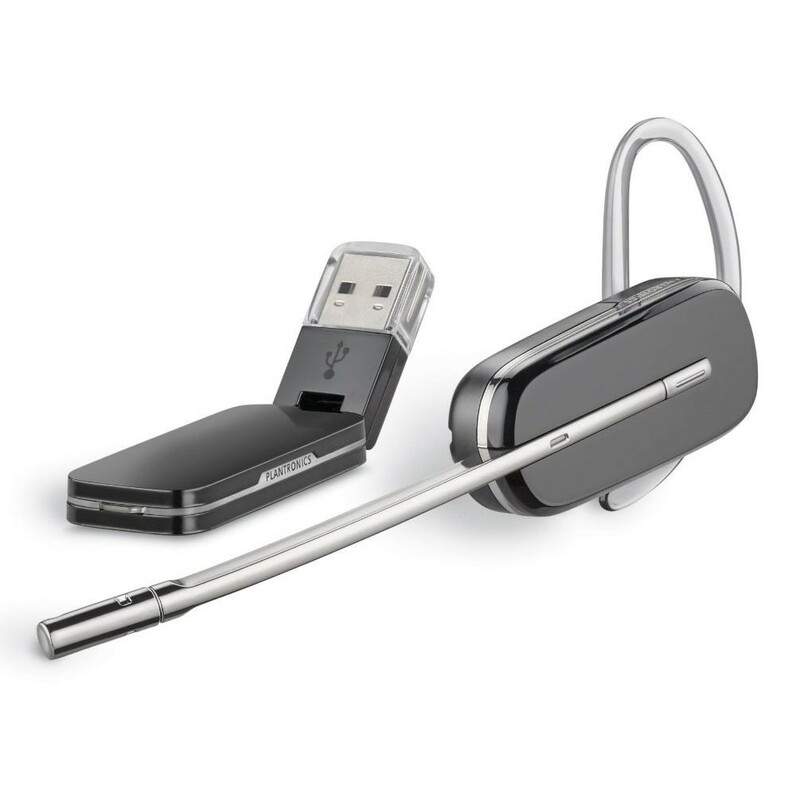 The USB receiver may be connected to any computer thanks to plug-and-play setup, and the system supports conference calls with up to three additional headsets. 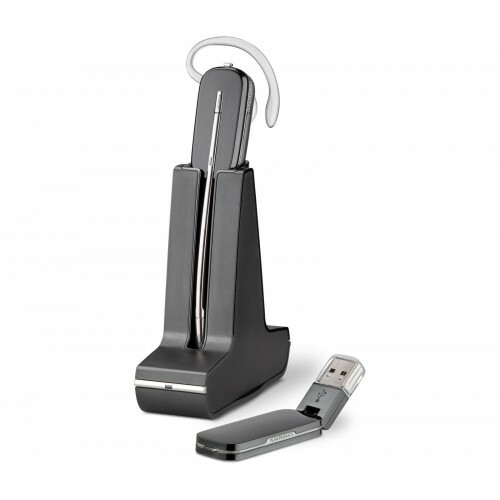 The Plantronics W440 monaural headset is designed for intensive business use in offices with VoIP telephony environments where USB connectivity is required. Bought this product to have a good quality wireless headset for my PC- and it works superb. The range covers my entire house and I am not bound to the PC while talking to my friends on Skype. Using it for the last few days and never let me down- all music and calls from my computer work perfectly. Recommended.